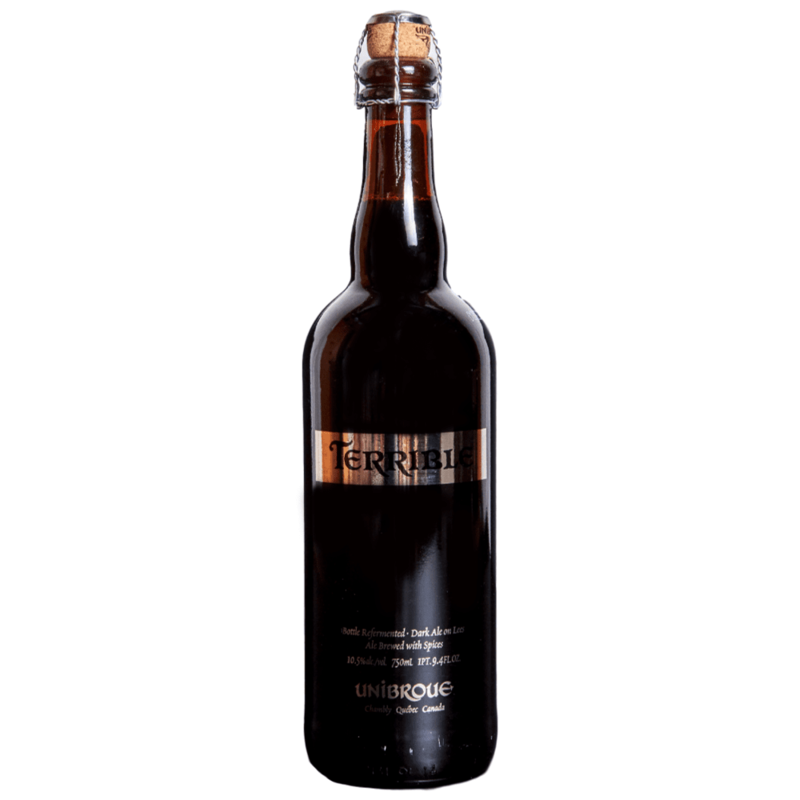 La Terrible is a dark brown beer on lees and is part of a collection of exotic and refined Unibroue beers brewed using 100% natural raw materials. It may be drunk as an aperitif or as an after dinner digestive. It is equally a perfect accompaniment to the above-mentioned dishes or a pleasant alternative to coffee. At Unibroue, we create unique-tasting craft beers using traditional brewing methods. Our beers are unlike any other product on the market, and no two are alike. Each one has a distinctive character defined by taste, color, texture, and density.